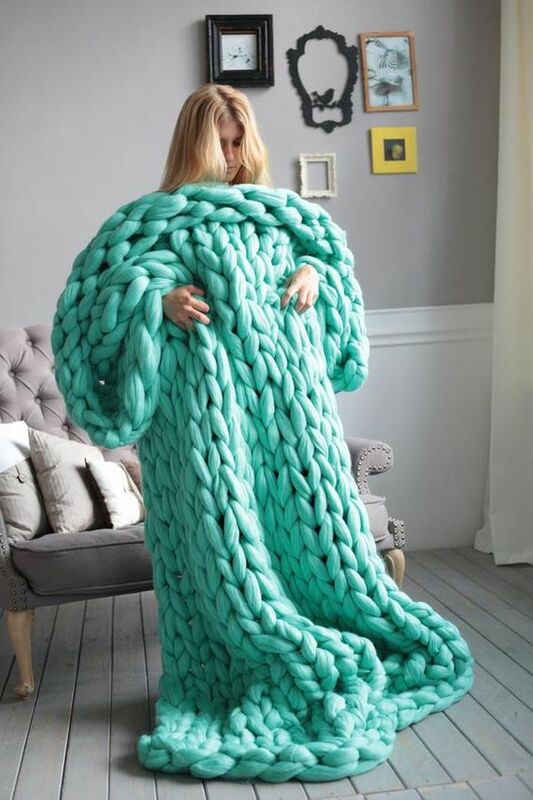 Have you ever desired a more substantial blanket? Well, chunky knit blankets are the way to go. 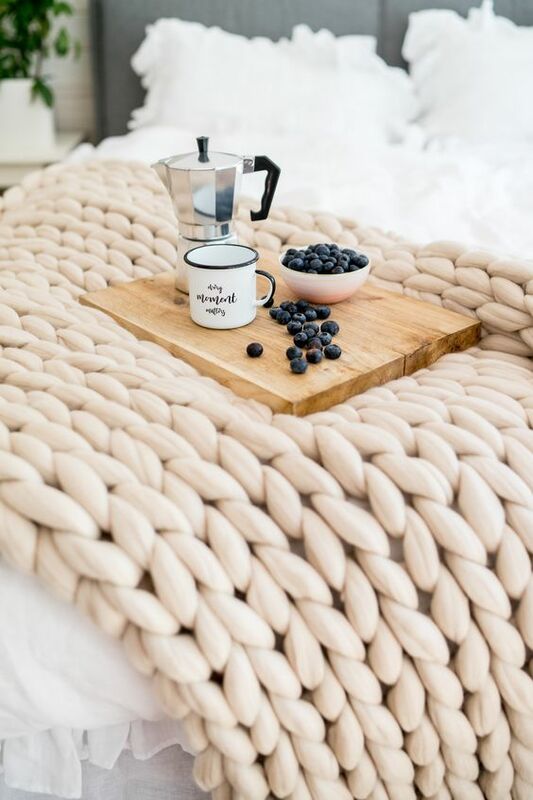 Since the cold weather has decided to stick around, these blankets have become an essential part of any household. These blankets can add life to any room with their intricate, braided patterns and soft colors. Blankets don’t have to be just something you use to keep warm on cold nights. 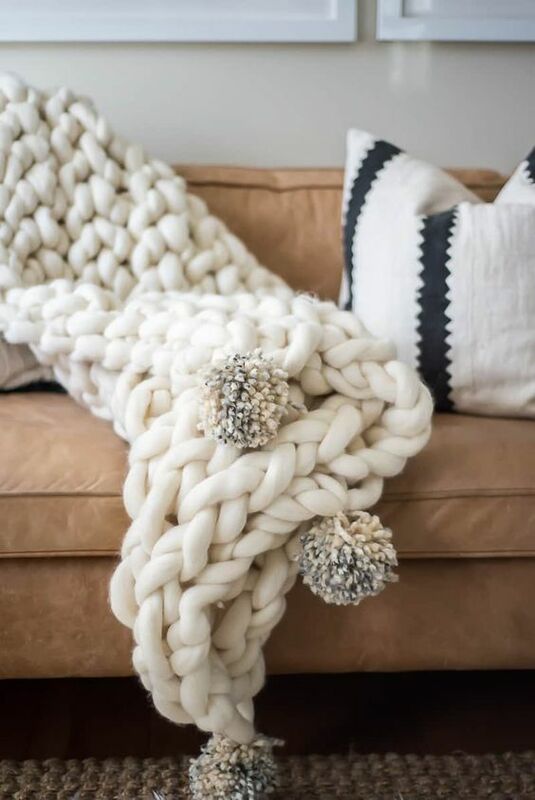 Chunky knit blankets have an innate sense of elegance through their lush braids. 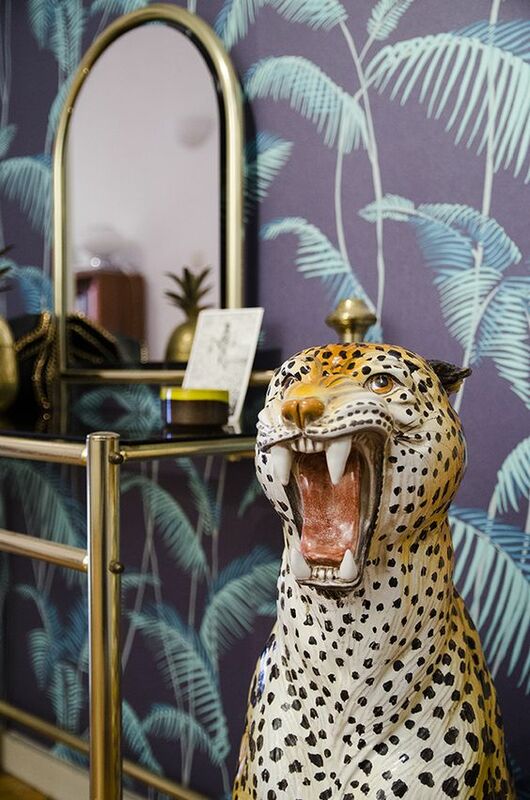 This luxurious piece is complimented through pastel tones as to not completely overwhelm the room they are placed in. Blankets are perfect for anyone seeking to soften up a room while keeping things classy. Sleep under these warm blankets or use one as a throw decoration. Chunky knit blankets come in a variety of colors; usually in softer shades like neutrals or pastels. Add a plush accent and throw these blankets on any piece of furniture. These can be thrown on wood-based chairs to serve as a cushion, or to contrast with the wood. 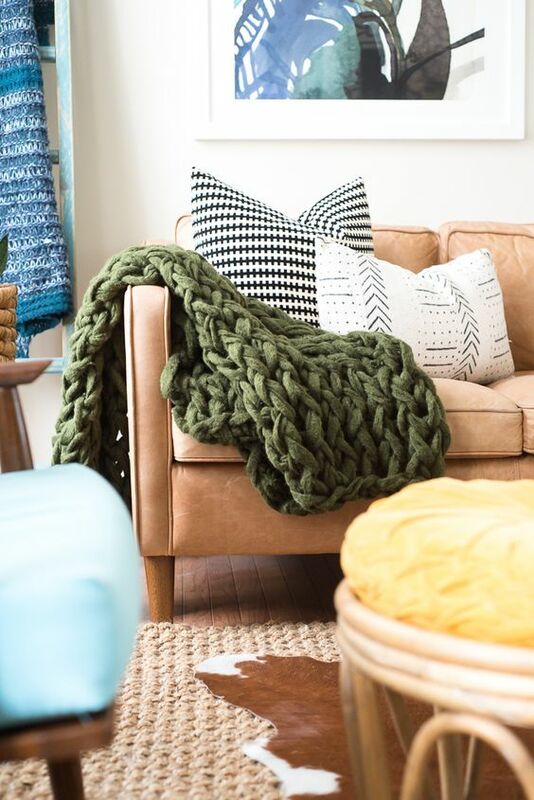 Chunky knit blankets can compliment or contrast with whatever furniture it’s used on. Do you already have an excess of blankets? Chunky knit blankets aren’t constrained to their name and can be used for a variety of purposes. Smaller blankets are perfect to use as cushions for not-so-comfortable chairs. Not to mention, they make amazing area rug replacements. Perfect for the undecided home stylist! 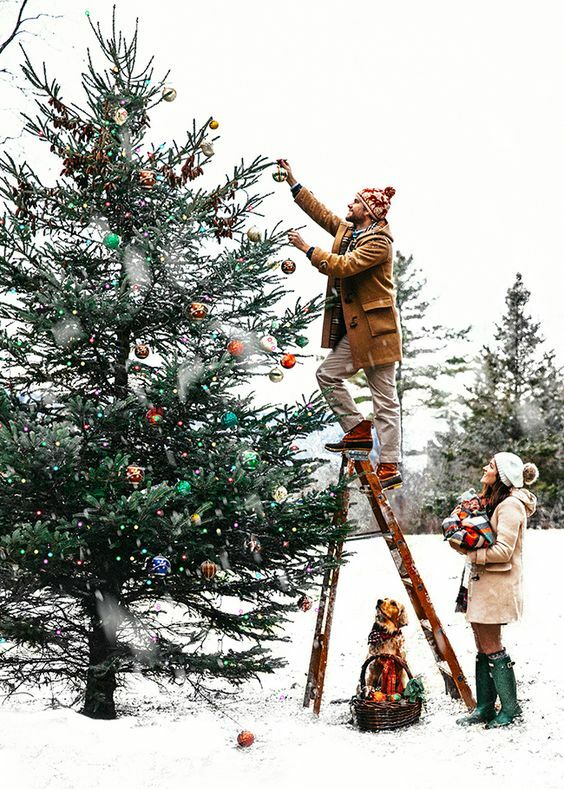 They also have the Winter Hygge coziness and warmth everyone seeks in the colder seasons. Chunky knit blankets do offer warmth, but they can also offer a heartiness that other blankets don’t offer. You can adjust your blanket by changing both the material and how tightly woven it is. These blankets offer the same stress and anxiety reduction of weighted blankets but are easier to clean. Sometimes a standard blanket might leave you feeling a bit stifled and too warm for your comfort. Chunky knit blankets can have a looser braided pattern to them that can promote a bit of airflow. The small gaps within the blanket allow them to get to a comfortable level of warmth. If things get a bit too warm for your liking, you can simply spread the gaps between the strands of your blanket. These blankets eliminate the midnight hokey pokey, wherein you shuffle between which foot to stick out from under the covers. Depending on the type of yarn used, these blankets can get a bit pricey. Chunky knit blankets are well worth the price, but sometimes you just can’t spend a grocery bill on a luxury blanket. It’s time to put on your DIY hat because as intricate as the braids look, they are actually quite simple to make. You can even find DIY kits on Etsy that supply all of the yarn, tools, and instructions. With this option of making your own, you can personal touches and make them in colors you don’t normally see, such as amber or gold. 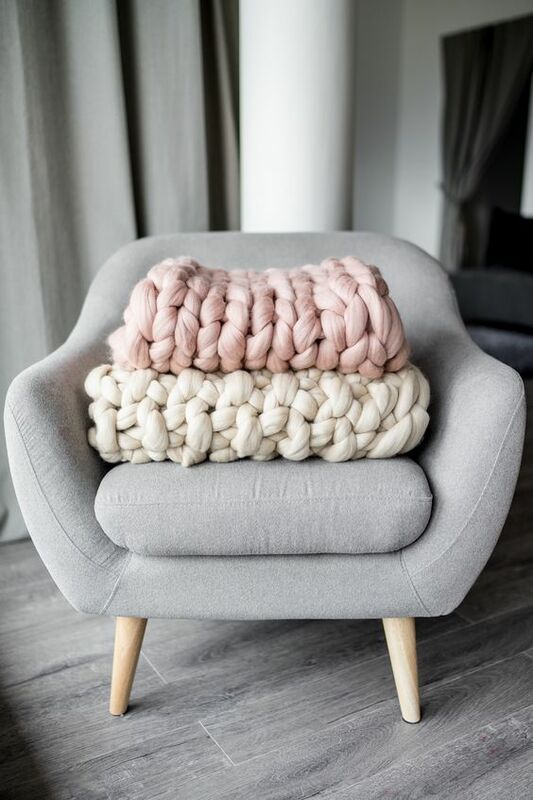 If you have found yourself wanting more from your blankets, or just something to add softness to your home, these blankets definitely fit that role. 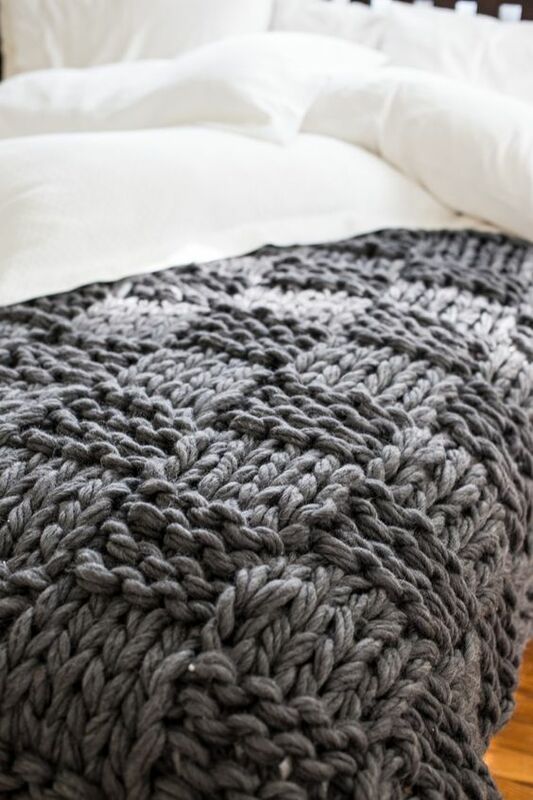 Chunky knit blankets offer so much to a home. 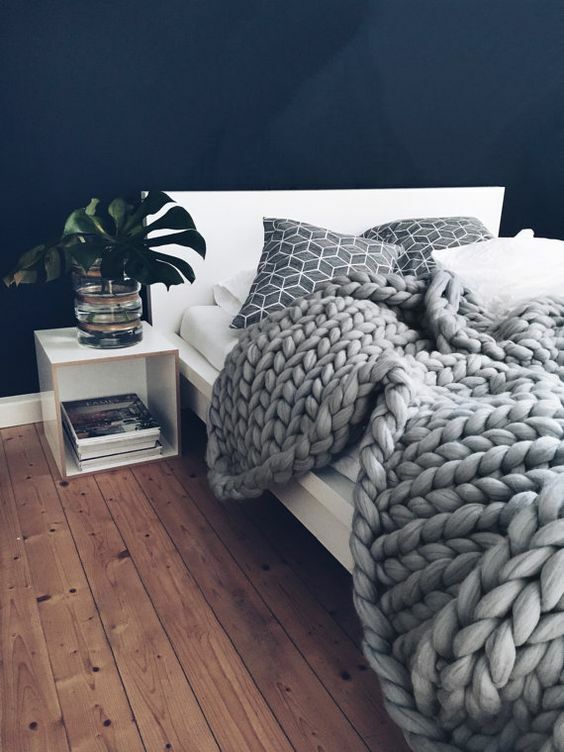 These blankets can be used just about anywhere and add a unique touch. 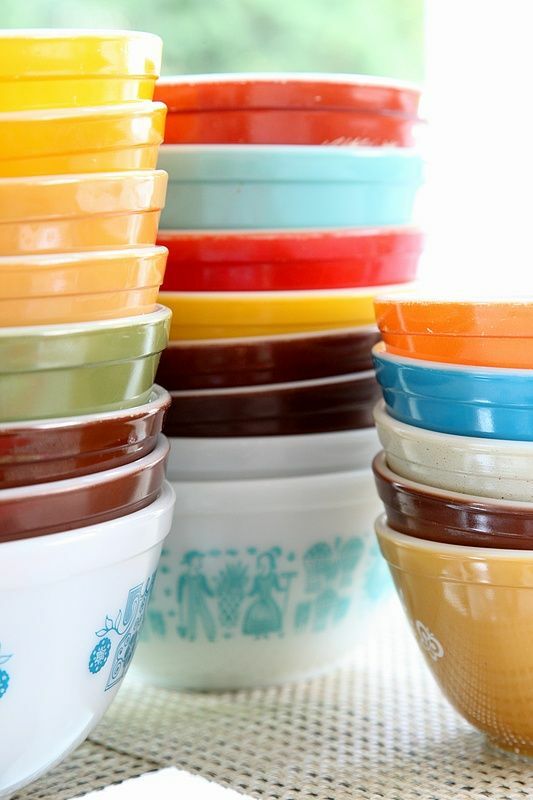 Add one to your cart or challenge yourself to make one!